Insurance fraud is a serious offense. Whether you are the victim of fraud or being accused of it, you’ll need the help of a good Riverside County licensed investigator to get to the bottom of it. Local law enforcement doesn’t always have the means to investigate an insurance fraud case carefully. That’s why hiring a Riverside County licensed investigator could bring you peace of mind sooner than you thought possible. 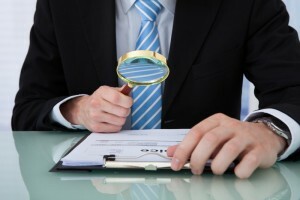 What Happens During an Insurance Fraud Investigation? The Coalition Against Insurance Fraud actually states that over $80 billion is spent on fraudulent claims each and every year. That is a lot of work for local law enforcement, which is precisely why a Riverside County licensed investigator is usually needed to handle the finer points of the investigation. Insurance fraud is a huge problem, and it affects every person in the country. On average, fraud increases the typical insurance premium by nearly $1,000 per year. That means putting a stop to it or proving your innocence is of paramount importance. An insurance fraud investigation is conducted differently based on the details of the case and on the client/private investigator agreement. Usually, the investigation begins because an insurance adjuster has doubts about the claim, or because a claimant isn’t getting the benefit of the policy because of the provider’s skepticism. You pay good money for your insurance and you deserve the privileges that come along with it. Let a Riverside County licensed investigator get to the bottom of it for you. A good Riverside County licensed investigator can provide services to both sides, as long as it is in the pursuit of truth. For more information on having an insurance fraud investigation conducted on your behalf, or to hire a Riverside County licensed investigator immediately, call (951) 344-6306. We provide you with a free initial consultation and price quote for our services.